Northern Ireland’s biggest gas and electricity firms, Power NI and SSE Airtricity, have lost out to smaller rivals in our energy companies satisfaction survey for 2019. Smaller rivals Budget Energy and Electric Ireland share the top spot. Contributing to their success in our survey, Budget Energy and Electric Ireland were the only ones to be rated as good value for money by their customers. Our Northern Ireland electricity and gas company survey includes scores for six of the seven firms, revealing what customers really think of their energy suppliers. 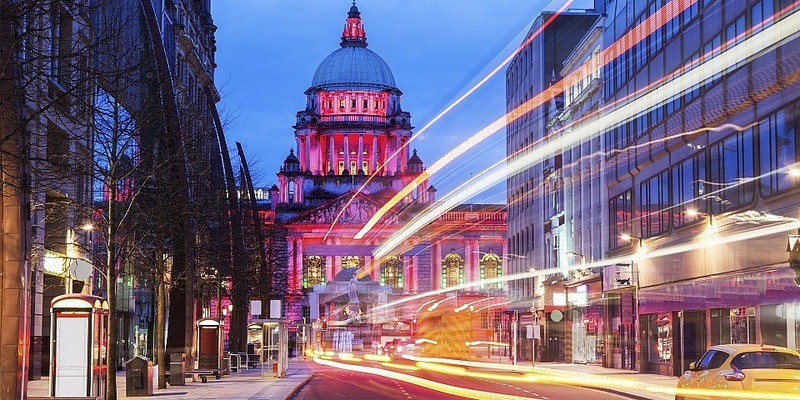 Use these results to find the best firm for you – see the full results in our Northern Ireland electricity and gas firms section. Budget Energy and Electric Ireland achieved identical customer scores of 67% this year. They stand out for their value for money, which customers rated as good overall. 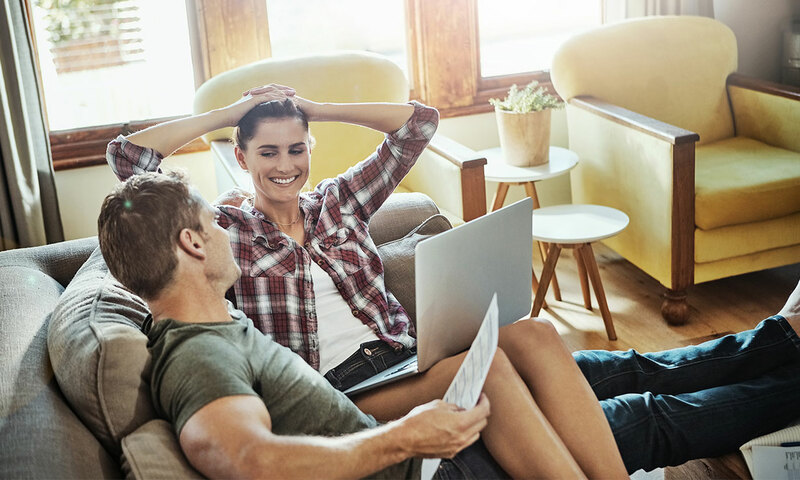 There’s little to choose between them, according to customers, who ranked the following areas a solid four out of five stars: bills, customer service online and on the phone, helping them understand and reduce energy use, and value for money. But five of the six companies included in our survey received four stars for billing, customer service and energy use and reduction (the sixth didn’t get enough responses to be rated). No firms in Northern Ireland achieved five stars in any measure we asked customers about. That wasn’t the case among energy firms in England, Scotland and Wales, though. Smaller electricity firms were rated better by customers in our survey than Power NI and SSE Airtricity Electricity. But these firms have a much larger proportion of customers, together supplying 79% of homes. They were the only firms with enough responses to be given a star rating for their complaints handling, which came out as average for both firms. Customers consider them OK for value for money, but worse than their smaller rivals. So if you’ve never switched electricity provider, check the prices of Budget Energy and Electric Ireland to find out if you’d get a cheaper deal, as well as better service. 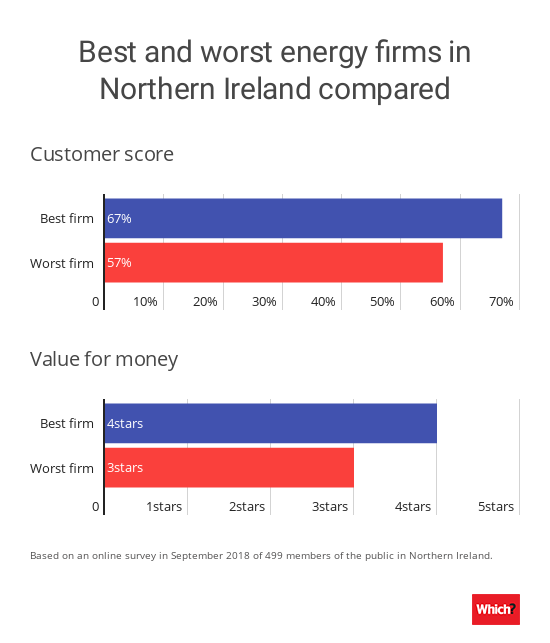 SSE Airtricity Gas is ranked two positions higher than Firmus Energy in our Northern Ireland energy firms survey, although there’s little to separate between their customer scores. Customers rated them both an average three stars for value for money. SSE Airtricity’s bills, customer service and helping customers understand and reduce energy use were all rated good by customers. But we didn’t get enough responses for Firmus Energy to rate these areas. 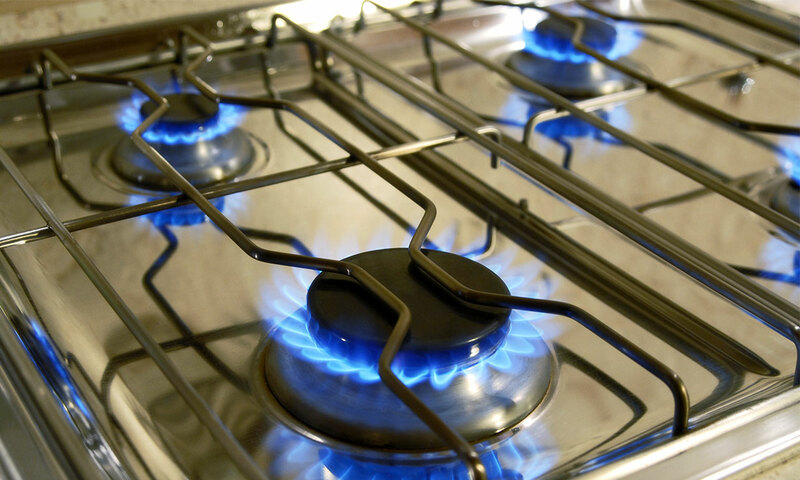 If your home has mains gas and you live in Greater Belfast, you can choose between the two. SSE Airtricity is the largest, supplying 76% of homes. Alex Neill, Which? managing director of products and services, said: ‘Eight in ten households in Northern Ireland are with the two largest electricity providers, but customers with smaller electricity suppliers are happier with the service they’re getting. We conducted an online survey in September 2018 with 499 members of the general public in Northern Ireland. We asked people to rate their energy company, including how satisfied they are with it, and whether they’d recommend it to family or a friend. These two measures are used to calculate each company’s customer score. We also asked customers about companies’ bills, customer service, complaints handling, helping customers understand and reduce their energy use and whether they consider their supplier to be good value for money. Their feedback is used to calculate our star ratings, which aren’t directly related to the customer score. Click Energy wasn’t included in our survey this year as we didn’t receive enough responses from its customers. Is a pay-as-you-go or keypad meter right for you?